We understand that your organisation offers the most supportive online environment to welcome distance learners from all over the world to be inspired and be their best. We know that offering an fulfilling online educational experience begins as early as enrolment. HEIapply is empowering organisations worldwide to be better at streamlining registration processes. 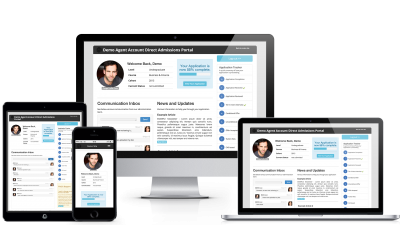 Our intuitive online system is designed to complement and enhance your processes, enabling the ultimate applicant journey. 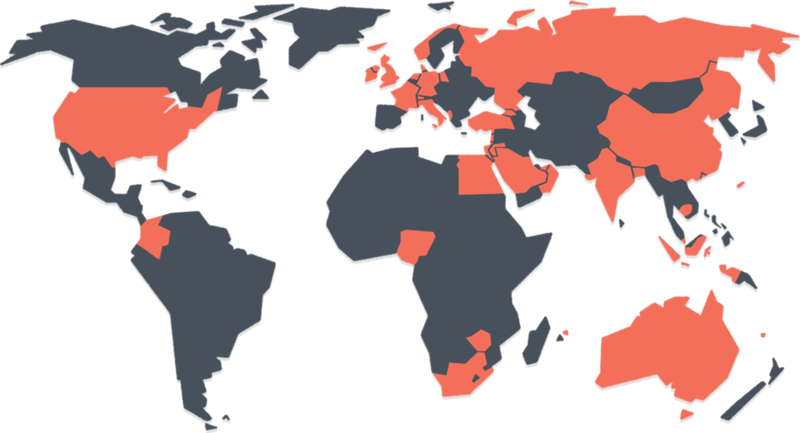 Online course providers are home to students from across different regions and often across the globe. We know that means hundreds of applications from countries all over the world trying to secure a place for their chosen course. 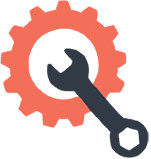 Offering an engaging and informative application process is a must in this highly competitive market. 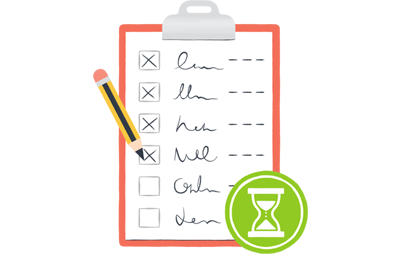 Distance learners expect a highly effective and efficient application process offering speed, clarity and accuracy at all times. This coupled with multiple routes, multiple course levels and different course fees, this can be quite a balancing act! Online course providers are at risk of falling short on delivering the applicant journey the modern day applicant expects. We recognise the need for Online Course Providers to operate efficiently, effectively and competitively. We know that speed and cost efficiency are hugely important. That’s why we work with you to ensure that we have all the vital ingredients to create your perfect admissions solution at a budget that works for you. 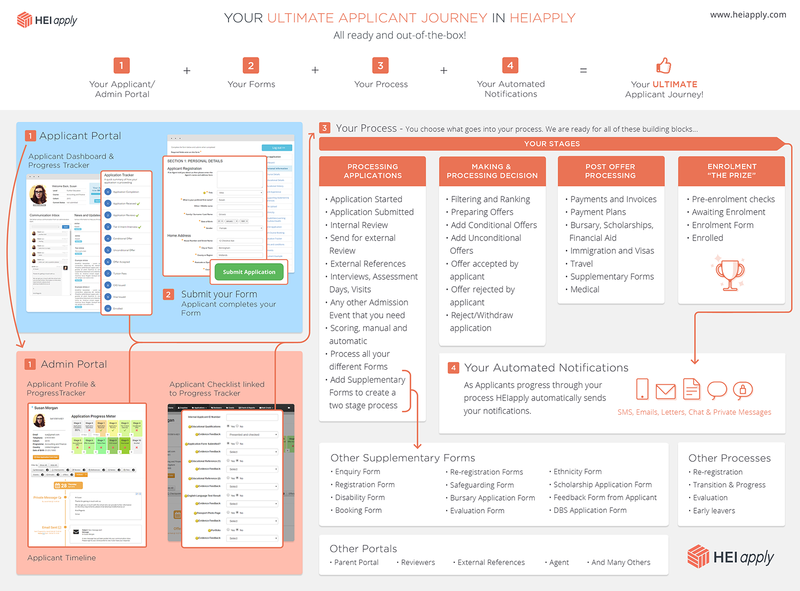 HEIapply comes with a wide variety of features readily built and out-of-the-box. 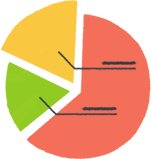 This allows us to customise the entire solution to meet your business processes & budget. 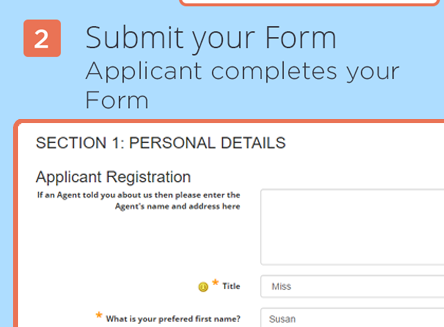 Applicants receive customised Automatic Notifications via email, SMS, letter or private message in line with your process, and using your templates. Author, create and publish online courses for learners to subscribe to, or you give them access to as part of your service including progress tracking, quizzes, gradebooks and certifications amongst many other tools to encourage persistence, retention and completion. 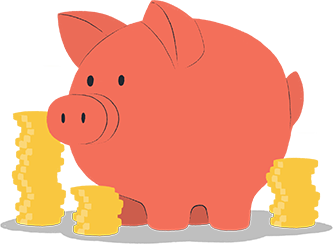 Use this as a tool to encourage conversion, or diversify revenue streams. 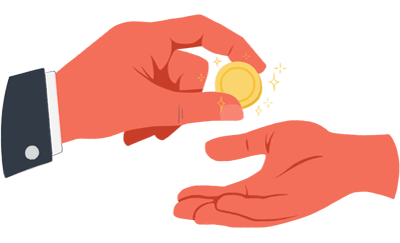 Set-up payment plans, so that payments can be made in instalments or all in one go, or providing the flexibility for both options - it's up to you! 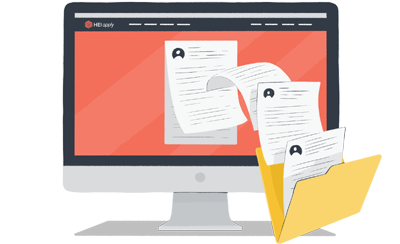 We setup your online forms before moving on to onboard and embed your Online Course workflow into our out-of-the-box solution. Is it possible for Admin to send a bulk email to a selection of applicants? Is it possible to display a link to the relevant form on the school's website? Yes! 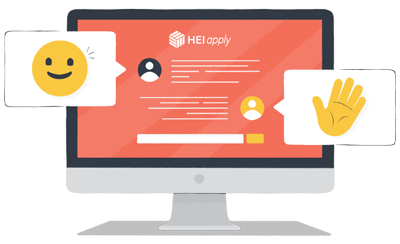 You can embed the forms generated by HEIapply on your school's website and link to the HEIapply applicant portal on any relevant page of the website. 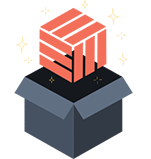 Are admin staff able to search, filter, report and export data out of the system? Is it possible for admin staff to respond directly to a private message? 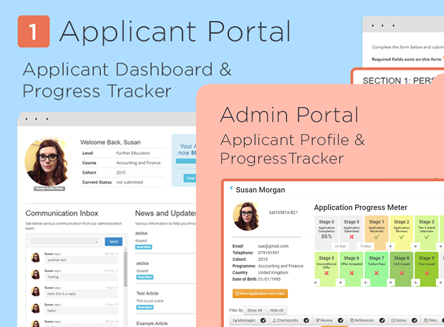 Both the applicant and admin portals come with an in-built communications inbox meaning both parties are able to keep up to date with the progress of the application process. 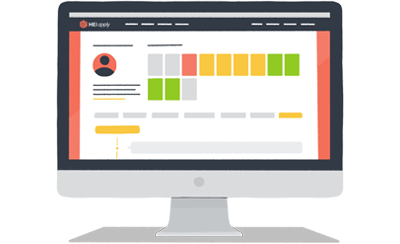 Here admin staff, once logged in to the dashboard, can simply select the applicant they wish to make contact with a reply to them directly and privately. 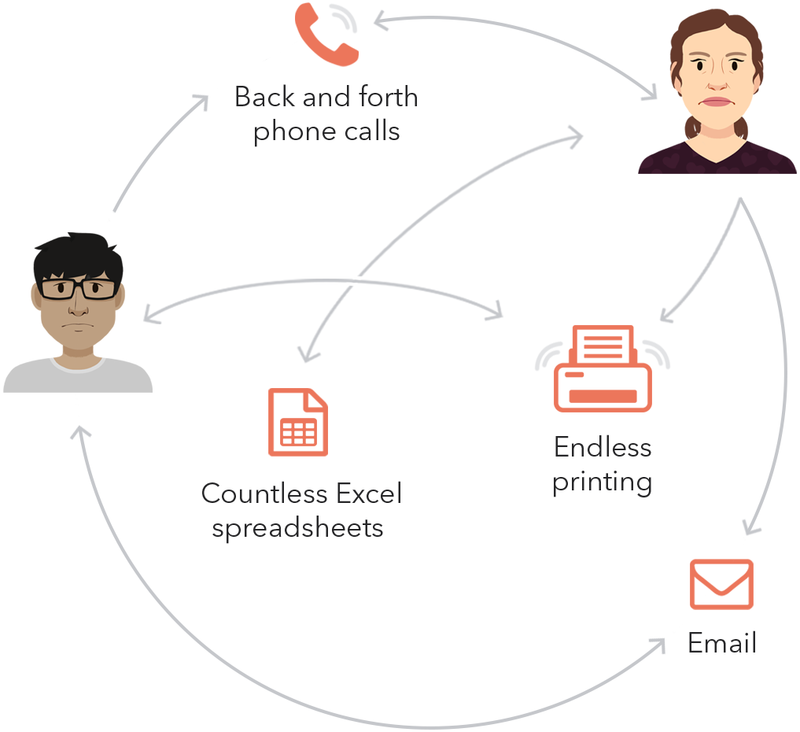 Can admin progress an applicant quickly through a standard process with automated notifications? Yes! 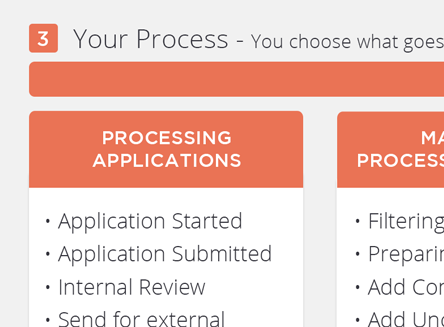 With HEIapply you can pre-define a standard process for each application route which translates to the Application Progress Meter inside each application received by your admissions team. 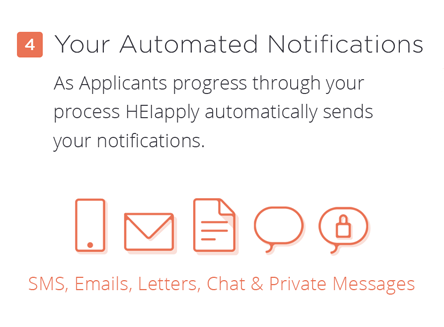 When an admin progresses the application through the stages, automated email notifications are sent out to the applicants and their parents to update them. 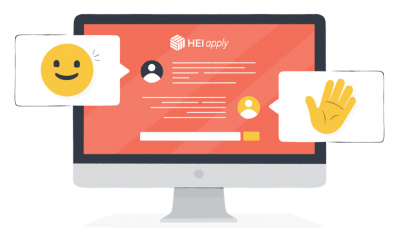 "HEIapply has given us the ability to completely customise and mould the applicant journey and provide those applying with the best experience possible"